I was born in Nuremberg, Bavaria. During the war I lived in a small village, called "Aisch an der Aisch", close to Adelsdorf. In 1949 we moved to Schwaig close to Nuremberg. After living there for several years we came back to Nuremberg. After receiving my engineering degree I worked for NSU in Neckarsulm, then I changed to BMW in Munich and for two years to Zündapp - a motorcycle manufacturer. My last employment was for the helicopter division of MBB in Ottobrunn, close to Munich. This job brought me to Fort Erie in Canada where we established a subsidiary - now Europcopter - were I was responsible for setting up the engineering department. Before retirement I established our own small company, dedicated to import/export and web design. We are now working together with a small company, called Dukasi in Sondershausen, Thuringia. 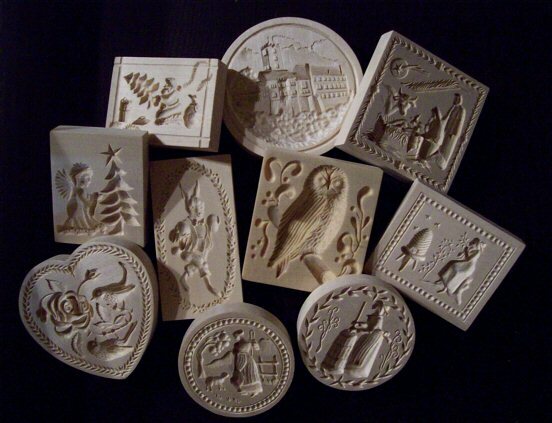 They are carving most of our new Springerle mold which we offer and they also produce the replicas. We also promote tourism in the languages English and German.